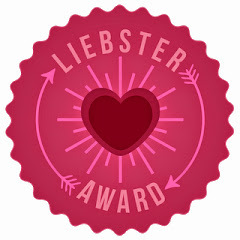 Thank you to the lovely Natalie at I love your ... For nominating me for the Liebster blog award. For those who aren't familiar with this little award, it is of German origin - with 'Liebster' meaning sweetest, or favourite. It is especially for new blogs with a smaller following of under 200, and it's great opportunity to network and learn more about your favourite bloggers. So here are the 12 questions that Natalie sent to me, along with my answers, and my nominations! Why did you start writing a blog? I have always loved to read blogs on a range of subjects that interest me - beauty, travel, fashion and travel being some of my favourites. People seem to find my lifestyle and job quite interesting, and so I decided to combine this with my love of beauty, and create a blog that combined all of those elements. Best make-up product you have purchased this year? Hardest question ever, I can't choose just one! I can't! But I have been loving L'Oreal Butterfly Lash Out mascara, Revlon Moisture Stains and Anastasia's brow wiz pencil lately. Very much so. Worst make-up product you have purchased this year? This is a shocker, I'm going against the grain here.... Benefit They're Real Mascara. I know, I know, everybody in the entire world seems to be obsessed (apparently it's the UK's number one selling mascara - for two years running - so the odds are well and truly against me) but it does nothing for my lashes. It weighed them down, made them clump, and the wand was like a twisted tourture device, stabbing me in the eyeball at every opportunity. Sad face. Favourite Season and why? I find this question hard to answer, as I love summer and everything that comes with it. But, I have to say - Winter - mainly because of the 25th of December, and also because of Chai Lattes, Christmas markets and the time spent with family :) I think London is lovely in the winter. Hardest part of writing a blog? I always guessed that blogging would be much harder than it seems, but I have been amazed at how hard even simple html is to master, (at least to me!) and how much effort goes into each and every blog post - it all takes so much time. But, I'm totally enjoying the challenge, and it's been time well spent. What is your favourite make-up product - drug store/high-end? I'm a huge Drug store fan, so this is hard - but I'm going to say Revlon Photo Ready Mousse Foundation, if only due to the sheer amount I've repurchased it. I must be on my 100th bottle. And for high end, I'd choose Baume De Rose By Terry. I love that it's nourishing, rose scented, and it's multi-use makes it perfect for travel. I often wear this on my lips rather than lipgloss/lipstick and I find so many uses for it when I'm away. Best beauty tip you have given or received? I'm obsessed with trying to master contouring, so I'm currently constantly watching tutorials and learning the best features to emphasise for my face shape. I feel like celebrity's have been doing this for years, and now the secret is out and it's very achievable. Angelina Jolie cheekbones here we come. Favourite Smell? Coconut. It's everything. Who is your style icon? It may not be an obvious choice of icon, but I really admire Kourtney Kardashians style. I think she is often over shadowed by her sisters, but I love the way she mixes high end fashion with high street style. Even when pregnant she puts looks together really well and I like her edgy but still very elegant style. She seems to not take fashion to seriously and wears what ever she feels like, and I like that attitude. Have you ever met someone famous? I have met quite a large number of celebs, mainly at work. We often have A-list celebrities fly with us, especially to L.A. Obviously we have to be discreet and can't get all star struck around them, so it's something you have to kinddofff get used to. I always wish I could ask for a picture. It kills me! And if I ever have Bradley Cooper on a flight, I might just have to make an exception. Swoon. Do you prefer a night in or night out? A night in, with sushi take out, a netflix marathon, lots of candles burning around me, my hair up in a pineapple and pajamas on, 100%. A night out... Errrm a wild night out. Can't look boring. If you were an animal, which one would you be!? I'd be a bird, I'm pretty used to flying and this way I'd get to keep my wings! I love the thought of being able to migrate and follow the sunshine, and swooping down on people's sandwiches would be pretty fun. I also nominate any new bloggers I might not have discovered yet who want to get involved in the tag! Tweet me your links! Your favourite trend so far of 2014? Beauty or Fashion. What's the one blogging related app you couldn't live without? What are your vision/dreams for your blog, where do you want it to be in a years time? 5 years time? What is the hardest obstacle you have faced since you started blogging? What's your favourite part of blogging? What do you love? What's your occupation? Do you work outside of having a blog? What's your favourite city in the world, and why? Where would you like to travel to, do you have any plans to travel in 2015? Whats the one beauty product you couldn't live without? What's your favourite online shop for either beauty or fashion? What's your favourite series, netflix or otherwise? If you could give one bit of advise to a brand new blogger, or somebody who is thinking about starting a blog, what would it be? My 'top three mascaras and review' will be live next, until then I'm off to enjoy the rest of my holiday. The beach is calling my name! I love posts like this and the 50 things about me tag. it really introduces the reader to the blogger behind the screen. You have a great blog :) I am a girl who loves a night in compared to going out.